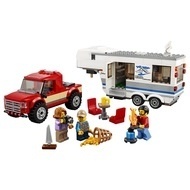 - Includes 3 minifigures: Mom, Dad and Son, plus a crab figure. 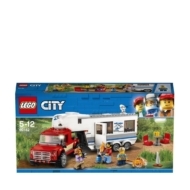 - Features a caravan that opens on the side, opening door, removable front roof, furniture and a separate support leg to stand alone, plus a pickup truck with removable cab roof, minifigure cab and truck bed with a hitch for the caravan. - Unhitch the caravan from the pickup and extend the support leg so it can stand on its own. - Open the side of the caravan to access the inside. - Remove the front roof of the caravan to access the bedroom. 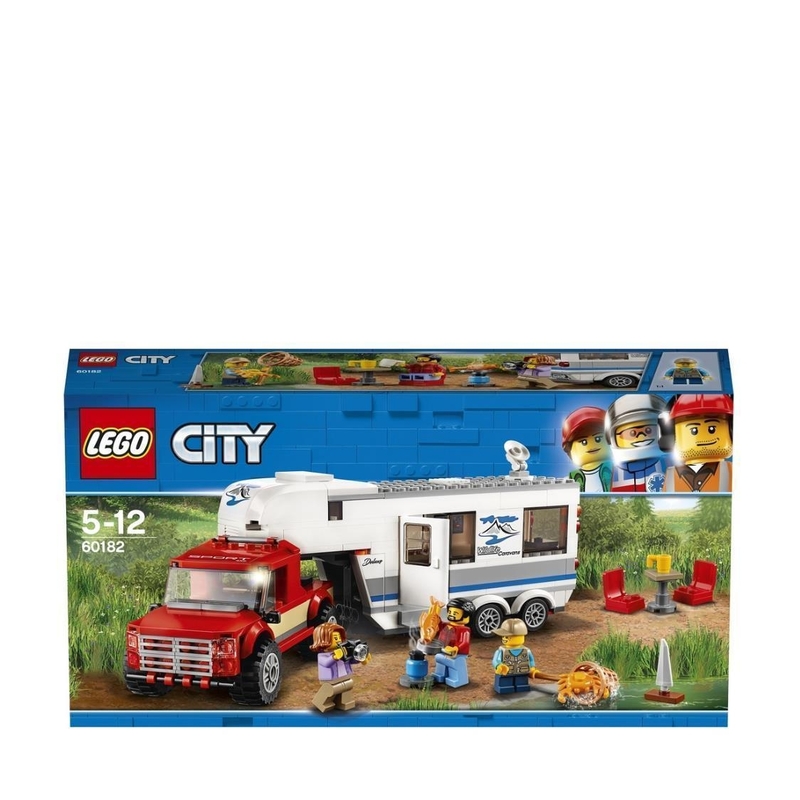 - Accessory elements include a net, toy ship, camera, gas fire, pan, fish, 2 mugs, 2 chairs and a small buildable table. - This toy for boys and girls is suitable for ages 5-12. - Pickup measures over 2” (7cm) high, 5” (13cm) long and 2” (6cm) wide. - Caravan measures over 3” (10 cm) high, 7” (20cm) long and 2” (6cm) wide. - As seen in the LEGO® City Vehicles TV commercial.